Fresh Start Carpet Cleaning specializes in pet odor and pet stain removal from carpets and upholstery. Our truck mounted carpet cleaning system removes most stains, dirt and bacteria from your carpet and upholstery leaving it fresh after cleaning is completed. Our fast drying time is usually 3-4 hours. 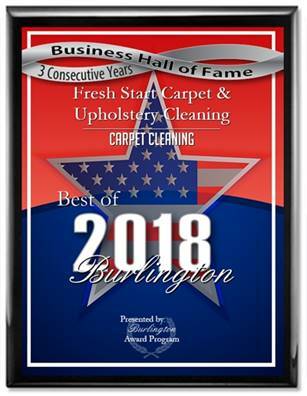 Fresh Start Carpet & Upholstery Cleaning is your best source for professional carpet cleaning companies in Burlington, NJ.